Well known and respected Outfitter Dries Visser Safaris is based in the Limpopo Province of South Africa and a mere 40 minutes north of Thabazimbi. 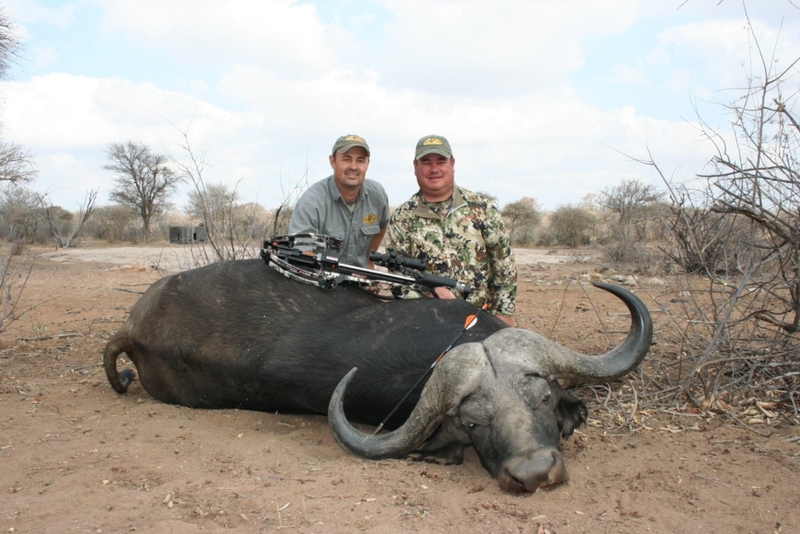 Dries Visser Safaris, located in the bushveld of South Africa, offers absolutely the best bowhunting in South Africa. Dries Visser Safaris caters for the best game and trophy bowhunting. Dries Visser Safaris is honored to play a major role in this most exclusive bowhunting paradise of South Africa. Dries Visser Safaris was established in 1990, after Dries Visser Sr had successfully developed one of the finest bowhunting areas in South Africa on his big ranch, called Citadel. Today, Dries Visser Jr – who grew up on the Dries Visser Safaris hunting reserve and gained experience from an early age hunting with his father – is the main driving force behind the best bowhunting in South Africa. He is also a highly skilled bowhunter, who strives to ensure that each and every hunter returns home successful in accordance with his well-known motto: dedicated to exceed your expectations. animals, in addition to the skill and experience of hand-picked professional hunters in guiding clients to harvest the best trophies. The Dries Visser Safaris staff – amongst the best in the industry – consists of highly trained and experienced professional hunters, trackers, skinners and camp staff, who share the goals of the company and strive to adhere to the high standards of service and excellence. 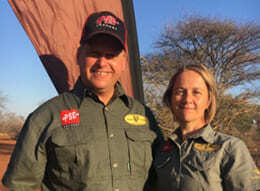 At the head of our staff in South Africa we have Cobus and Elana Pretorius who is both passionate bowhunters themselves. They travel to the USA for 3 months a year on our annual marketing tour. Elana is our marketing manager, while her husband Cobus is our head Professional Hunter. Dries Visser Safaris realizes the long-term responsibility towards conservation in general and to their own concessions in particular. A strict game management plan is maintained, to ensure that good quality trophies are taken consistently. Dries Visser Safaris have been offering the best bowhunting in South Africa since 1990. We are dedicated to cater for each and every hunter’s needs, no matter the age or country of origin. Dries Visser Safaris started hunting with European hunters when Dries Snr started the outfit. In the early 1990s we moved our focus to the USA market and have been very successful. Dries Visser Safaris has also conducted many rifle hunting safaris in South Africa, Botswana, Namibia, Zambia and Mozambique. 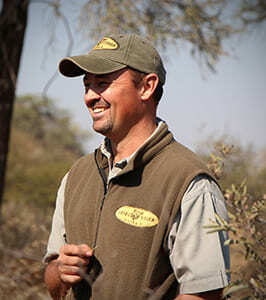 Dries Visser Safaris also offer trophy hunting for rifle hunters on separate concessions. 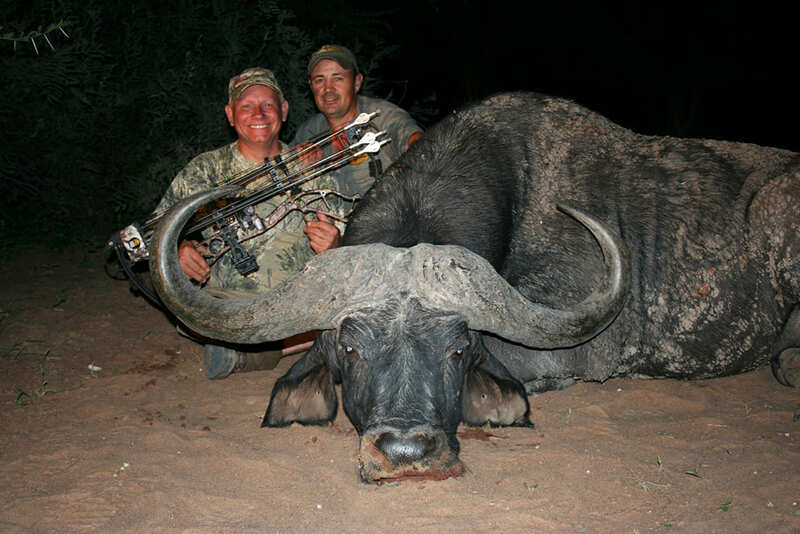 Dries Visser Safaris has specialized in the best bow hunting in South Africa for many years. For more than two decades, they have catered for hundreds of bowhunters, and fast became the best bowhunting outfitter in South Africa. 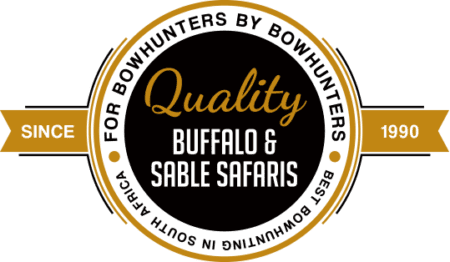 Dries Visser Safaris bowhunting concessions are some of the best bowhunting in Africa and are used exclusively for bowhunting, with an abundance of game. Many different species can be hunted from blinds or tree stands, making this a bowhunter’s paradise! 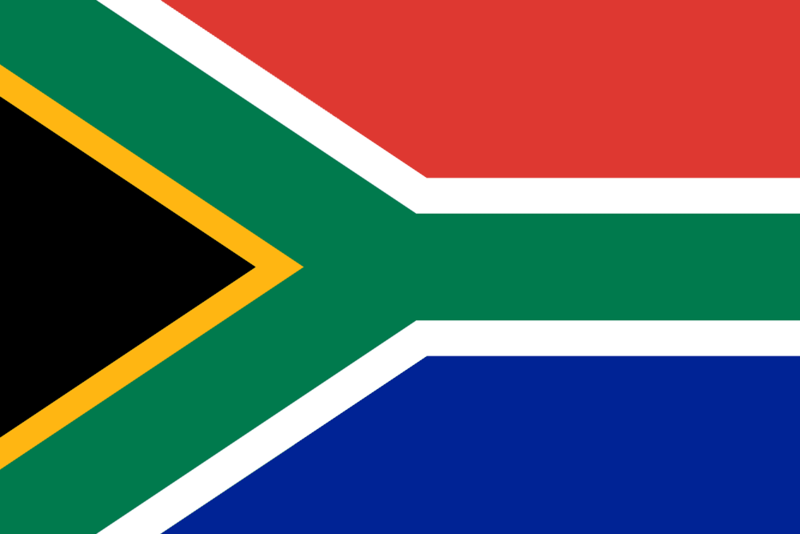 Today, Dries Visser Safaris is proud to be a respected member of the Professional Hunters Association of South Africa (PHASA), Safari Club International, Dallas Safari Club and Houston Safari Club. 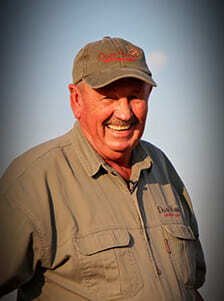 Clients hunting with Dries Visser Safaris can be sure of a legal and ethical safari. Join Dries Visser Safaris for the best bowhunting in South Africa. The amount and variety of game there is incredible. There was never a dull moment in the blind as there are always animals. I believe we as bow hunters need to start concentrating on spending our resources on experiences rather than material things. This trip with my son and my brother has certainly been the trip of a lifetime. The PH’s are outstanding, their knowledge and preparation is what has made all my hunts such a great success. The hunting property is huge and beautiful and we saw numerous animals going to and from the blind, such as Cape buffalo, Zebra, Giraffe and many more. In the evenings we enjoyed delicious meals prepared by a chef over a fire with everyone sharing hunting stories and laughter around the fire pit. Absolutely beyond expectations! I have hunted every continent except Antarctica. I have hunted Africa seven times. Dries Visser Safaris is head and shoulders above them all. 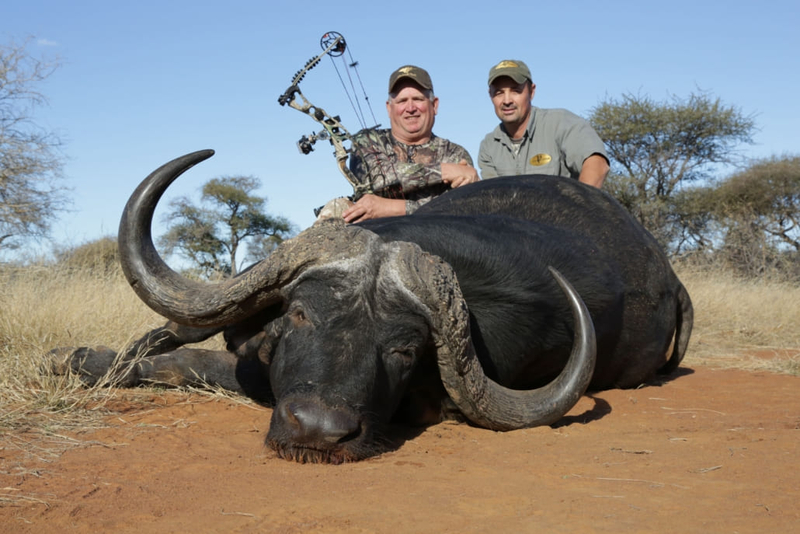 My first African bow hunt with Dries Visser Safaris was more than a hunt – it was an adventure. The accommodation, food and staff were outstanding. For the bow hunter – this is heaven on earth. I spent the last 10 days hunting in Dries Visser Safaris. And they were the most successful and best days of my past 2 trips to South-Africa to hunt. 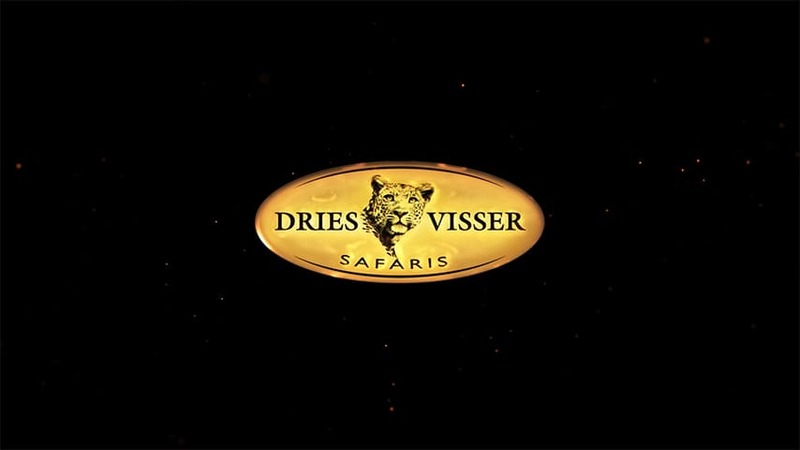 My experience with Dries Visser Safaris is one of the best in SA. Having been hunting 5 times in SA, the ranch, installations, variety of animals, quality of trophies, size of the area and attentions where all of the best I have experiences in SA. It was an incredible time at Dries Visser Safaris this past summer and I’m really looking for forward to getting back again. All in all, Dries Visser Safaris provided everything we hoped and prayed for and so much more. 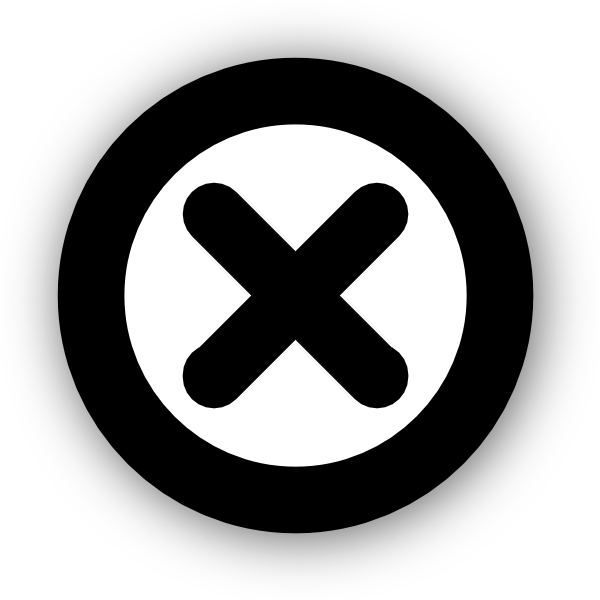 In fact, I can honestly say that Dries Visser’s tagline is more than just a catchy slogan – they are truly “dedicated to exceed your expectations”. Ashraf and I had a wonderful time. The entire team at Dries Visser Safaris went out of their way to make our South-African experience a fantastic one. Everyone went out of their way to make us feel welcome and comfortable. Since being here everything is just as promised but so much more. I cannot speak highly enough of the knowledgeable, skilled and helpful PH assigned to me. Bradley was tremendous. The property here is beautiful and the animals are amazing. This was our first time to Africa. We really did not know what to expect. It has been one of our best hunting experiences as a couple. We cannot wait to return and bring our friends to hunt at this amazing place. The hunting is phenomenal with trophy class animals and the professional hunters and trackers are unbelievable. Thanks Dries, I’ll be back. There are so many animals here. And it is such a big place. This is what a dream of hunting Africa is like. Africa is awesome! “Think Big and Take What You’re Given! This is a game rich environment at this concession and it is truly a place you need to come to for a 5-star experience in every aspect. There is nothing here that isn’t the best there is to offer. Top quality blinds, game opportunities, PH’s, food and Friendships. Those guys know the wildlife, how to set up for bowhunting, and how the best show the game taken in photo and video. The hunting was terrific. My PH was knowledgeable, diligent and was able to get me opportunities at some very nice animals. It was a great team that made good hunting partners. You owe it to yourself for heaven’s sake, don’t you? Dries Visser Safaris went way beyond my expectations. The effort to make you comfortable and happy is unbelievable. From the food to the skill level of your PH and tracker, everything was a 12 out of 10.